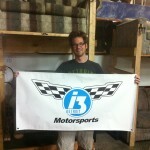 You are here: Home / Blog / Friends of i3 Detroit / i3’s toys at Yelp’s party: Friday! i3’s toys at Yelp’s party: Friday! 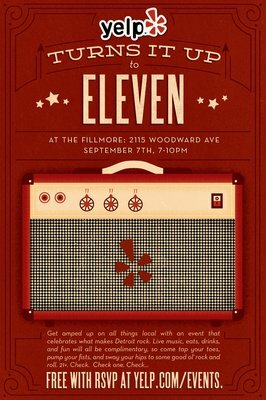 When you’re Yelp, and you’re throwing a big party at the Fillmore, where do you look for entertainment? A bunch of local outfits, including i3 Detroit, of course! We’re bringing the giant Connect Four and beanbag toss (I refuse to call it that other name), and Robot Fight Club, and the Squiggletrike, and maybe even the dangerously fast Power Wheels car #3. It’s more than just a party, of course: Yelp is raising funds to support a Detroit charity: “Real Life. My Music. is a nonprofit organization created to provide a musical and artistic outlet to inner city youth in Detroit“. Considering all the education cuts, that sounds like it fills an important gap! It’s happening this Friday, 9/7. All the details are over at Yelp, and while the shindig is free, you have to RSVP to get in, so just go do that already. Oh, and bring a few bucks for the fundraiser. See you there! https://www.i3detroit.org/wp-content/uploads/2014/03/Logo_large_png8-300x98.png 0 0 Nate Bezanson https://www.i3detroit.org/wp-content/uploads/2014/03/Logo_large_png8-300x98.png Nate Bezanson2012-09-06 16:16:462012-09-06 16:16:46i3's toys at Yelp's party: Friday!